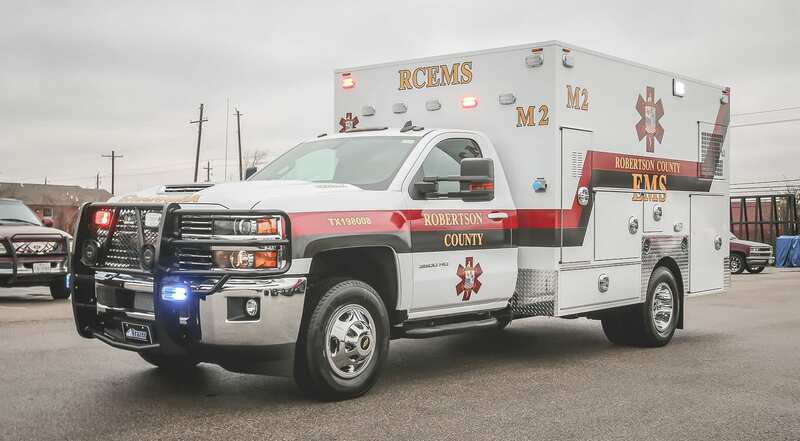 Take a virtual tour of the latest Robertson County Custom EMS vehicle. 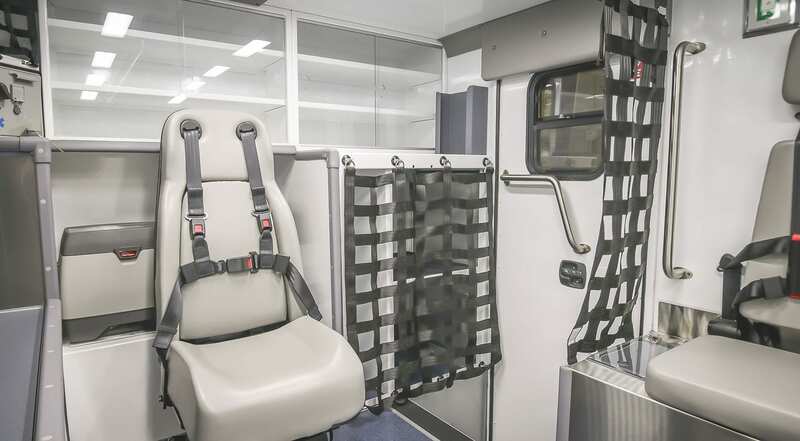 This type I 12 ft. custom EMS vehicle is mounted onto a Chevrolet 3500 diesel chassis and features a Liquid Spring™ suspension system. 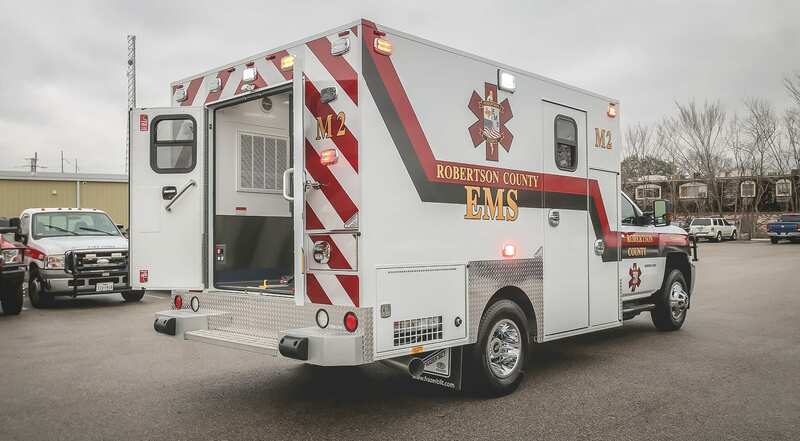 Visit the Robertson County EMS website for more information on the services they offer. 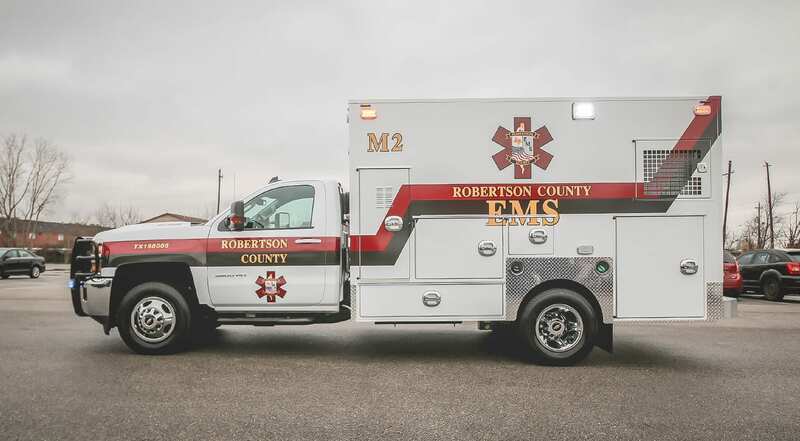 Robertson County’s Emergency Medical Service is equipped with a very ‘high-tech’ EMS System that provides emergency services to the citizens in that particular area. 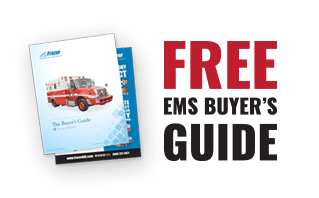 RCEMS is a fully-licensed EMS provider in the State of Texas through the Texas Department of State Health Services. 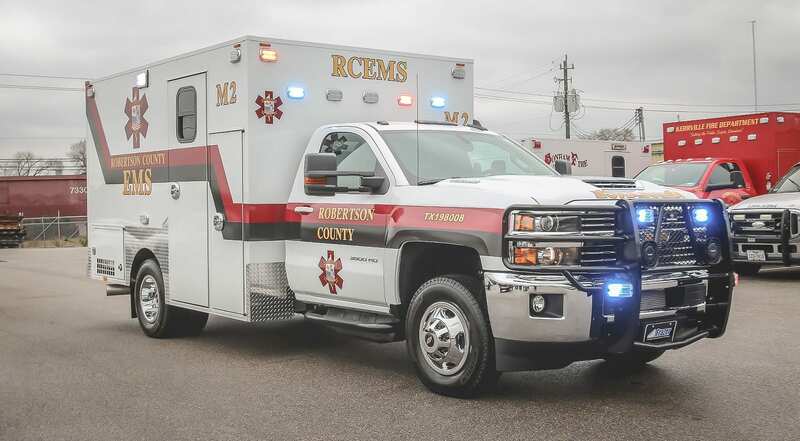 RCEMS currently has stations located in Hearne, Franklin, Calvert and Bremond Texas. In 2016, RCEMS responded to approximately 3,200 calls around the County. 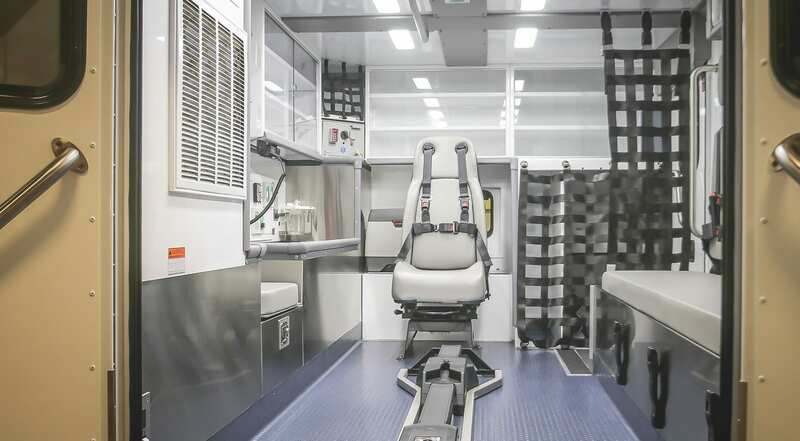 RCEMS currently provides 3 twenty-four hour Mobile Intensive Care Units (MICU) and 1 twelve hour Mobile Intensive Care Unit. 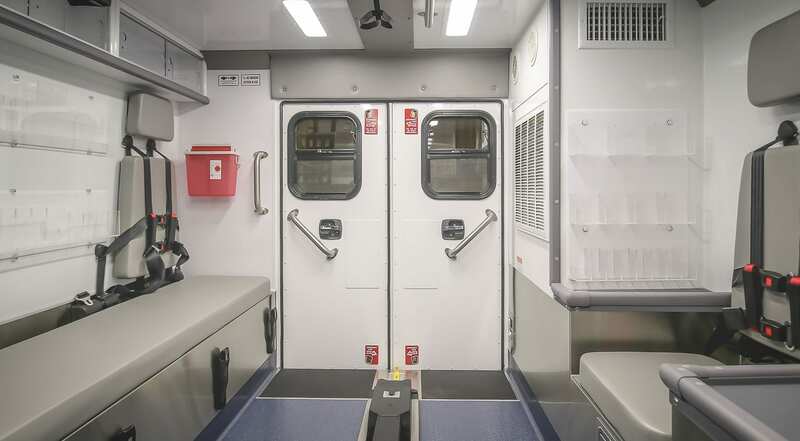 They also have one Paramedic Supervisor vehicle that responds to calls twenty-four hours a day, seven days a week. 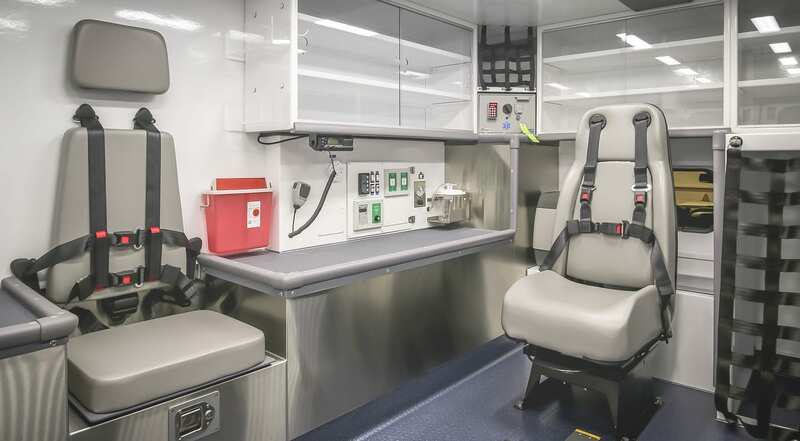 Each ambulance is staffed at the Paramedic level, stocked with state-of-the-art equipment, GPS navigation, and in-depth standing order protocols. Robertson County does not currently have a hospital or stabilization facility within the County. Patients are transported to various hospitals in the area depending on the patient’s needs or which is the closest to the patient’s location. 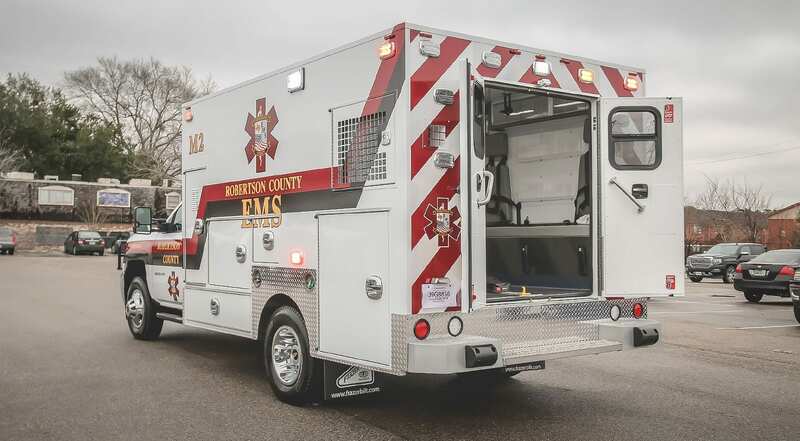 If your medical facility is in need of custom EMS vehicles or parts for your EMS vehicle, do not hesitate to call Frazer! 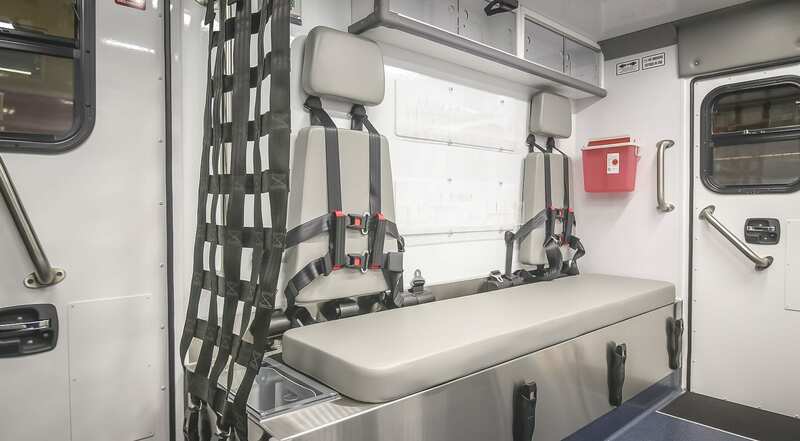 We offer customization ideas for specific medical service needs, price quotes, and even information on any pre-owned EMS vehicles we have in stock that will work for your needs. Our sales staff is equipped to handle whatever questions, comments, or concerns you may have about your possible purchase. Give us a call today to find out what Frazer can do for you and your medical facility.